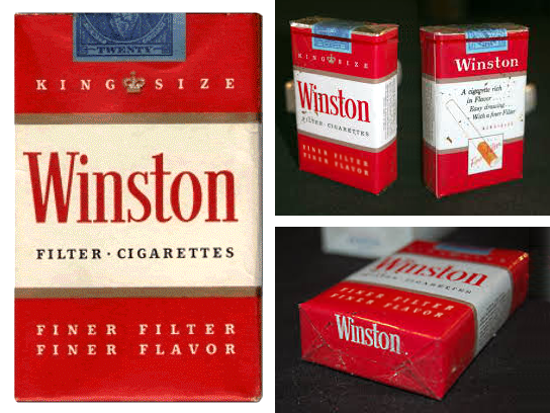 Overview: Winston cigarette was introduced in 1954 by R. J. Reynolds Tobacco Company, the same manufacturer that launched the well known Camel cigarettes in 1913, and quickly became one of the top selling cigarette brands. 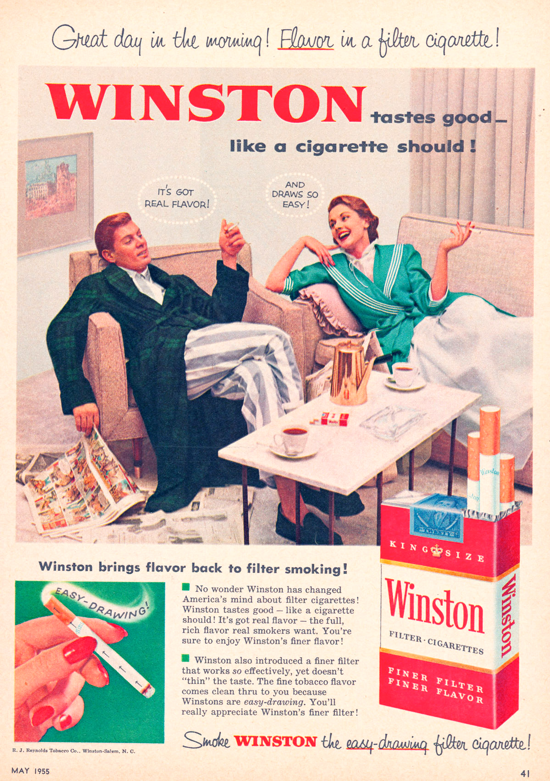 The brand was named after its productions region Winston–Salem, North Carolina, USA. 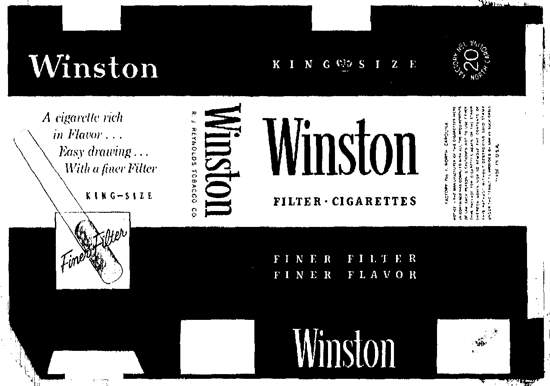 Winston cigarettes were first introduced in the New England area in March; shortly thereafter they were offered in the New York metropolitan market and gradually the distribution was extended to the other parts of the country. 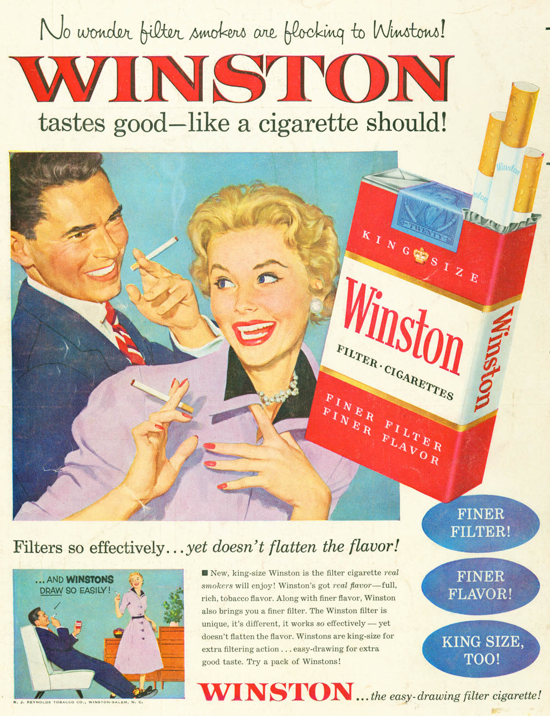 The famous advertising slogan for this brand was "Winston tastes good - like a cigarette should! 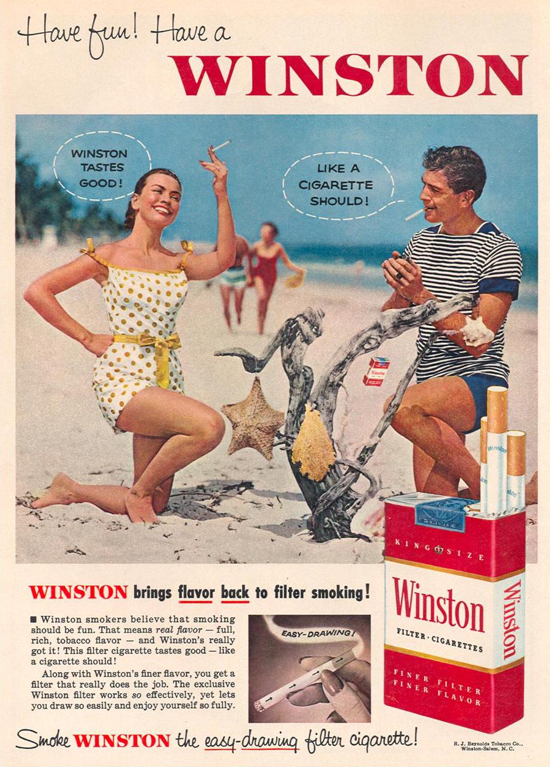 ": it was a long lasting slogan that showed up in newspapers, magazines, radio, and TV advertisements for Winston cigarettes from the brand's launch in 1954 until 1972. 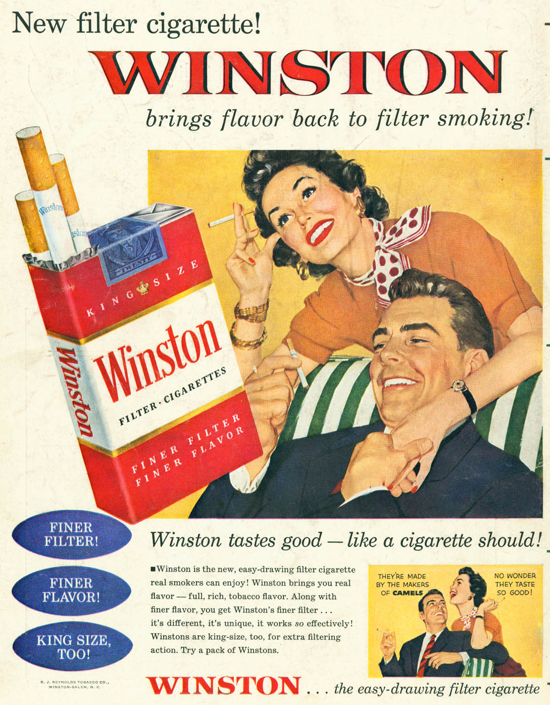 Property: R. J. Reynolds Tobacco Company - ITG Brands LLC - Japan Tobacco Inc.
Winston cigarettes Anniversary editions. 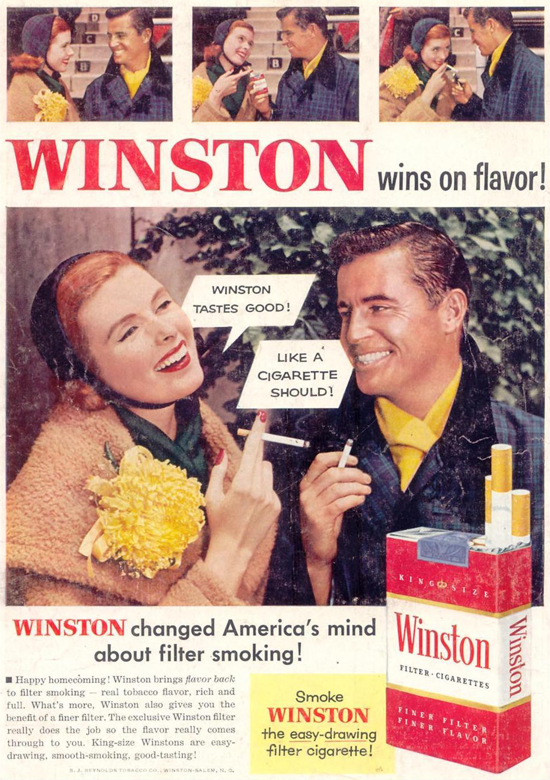 Left: 40 years, USA 1994. 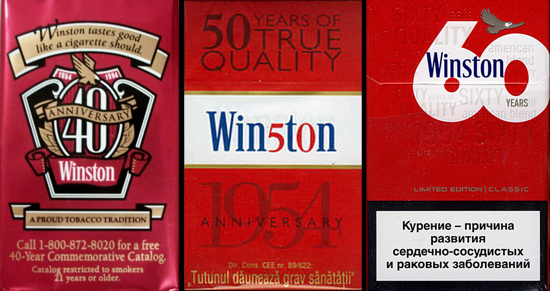 Center: 50 years, Romania 2004. Right: 60 years, Belarus 2014.